Sharing his point of view on the situation with Sputnik, Dr. Max Abrahms, Assistant Professor of Political Science at Northeastern University, pointed out that once the anti-Daesh campaign in the region is over, the US may have to review its policy concerning the Kurds. Sputnik: What’s your take on the White House statement on the military support adjustments in Syria? Dr. Max Abrahms: The details are a little bit murky on all of this. Basically, for a while, there was a lot of consensus on Syria, particularly about getting rid of Islamic State there. Many different actors in the world – the United States, Russia, the YPG, the Kurdish fighters, Syrian Arab army – all of them could agree that Islamic state [Daesh] had to go. Now it happened rather quickly that Islamic state has been depleted, especially in Syria, and that now leads a whole bunch of actors in that country, who are not in any way overlapping in their strategic interests to get rid of Islamic state. Now the question becomes – what would all these actors do, which ones will stay, which ones will leave, how will they coexist? For a while, the US viewed the Kurds as a really great ally to serve as ground troops against Islamic State. This is particularly important as the co-called Arab rebels turned out to be very ineffectual, they defected to the Islamic State, they turned out to be much more radical than the US would like. They joined up with an al-Qaeda-related group, etc. So the Kurds became, from the US perspective the go-to ground force against Islamic State. Of course, Turkey opposes supporting the Kurds for obvious reasons – they’ve been in a more than a decade-long war. Turkey regards the Kurds as essentially an offshoot of the PKK, the Kurdish terrorist group that has preyed on thousands of Turks over the years. So, the US is pledging to stop funding the Kurdish fighters, which is what Turkey and a lot of international actors want. There’s a good amount of sympathy for the Kurds in the United States. They were allies in that they helped against Islamic State and that they essentially deserve a nation. But, ultimately, those kinds of sentiments are not going to carry the day, as I think the US is increasingly concluding that the Kurds are not really a big asset post-Islamic State. Sputnik: Why do you think Washington has now altered its decision? Dr. Max Abrahms: I think the situation in Syria is very [fluid], in a way it’s quite alarming from the US perspective, even though there’s been tremendous progress against Islamic State. I think there is a real sense that the winners in Syria have been some of the US' adversaries: Russia obviously has a stronger position in Syria than it did before it got so involved in 2015; that the Syrian government is no longer on the docks. You know there is a Geneva conference where the government is essentially representing itself, because regime change is off the table, it's not practical, so Assad is there to stay. Hezbollah is stronger than it was just a few years ago, it’s been reinforced by Iran and has spread increasingly into Syria and gained all sorts of battle experience in addition to enhanced weaponry. Iran is more involved in Syria than before. The United States' go-to ally throughout the Cold War was Israel. You see all of these entities, that the US regards as adversaries, essentially not far from Israel’s northern border. Israel and Hezbollah went to war in 2006 and that was a very painful war, both for Israel as well as Hezbollah in Southern Lebanon. There is a real sense that another war is coming, that Israel and Hezbollah are going to go at it again. And when they do, it’s going to be bloodier than it was in 2006, in part because of Hezbollah’s strengthened position over the past couple of years. I think that the US' moves in Syria need to be understood in that context. Not so much against Islamic State, but in preparation for future conflagration on Israel's northern border. I'm not entirely sure how it all is going to play out, but I do believe the US is looking down the road and there's a real sense that the US' position in Syria is actually quite weak. 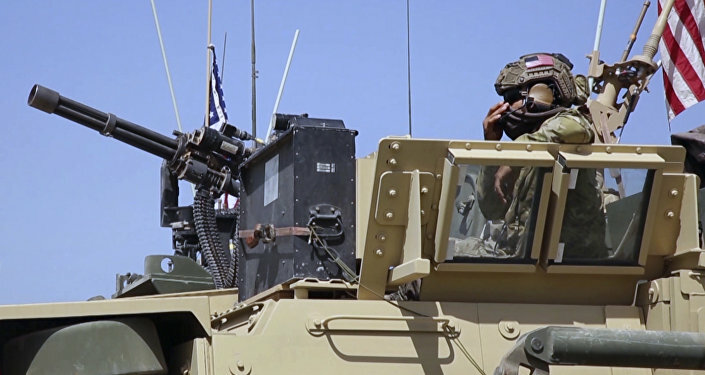 The US has some troops in Syria, has been supporting the Kurds… does the US really want to remove all of its troops, stop all of the funding to the Kurds, when the US has such a reduced influence in that very important area? Sputnik: What’s the US ultimate mission in Syria? Is the US really interested in achieving peace in the war-torn country? Dr. Max Abrahms: I honestly think that the US probably doesn’t know what its position in Syria is going to be. And again, Islamic State brought together all of these sorts of unlikely bedfellows, because they all have an interest in kicking out this very extreme Salafist jihadist group. But now that the group is being expunged from Syria, it’s unclear how these other parties are going to coexist. 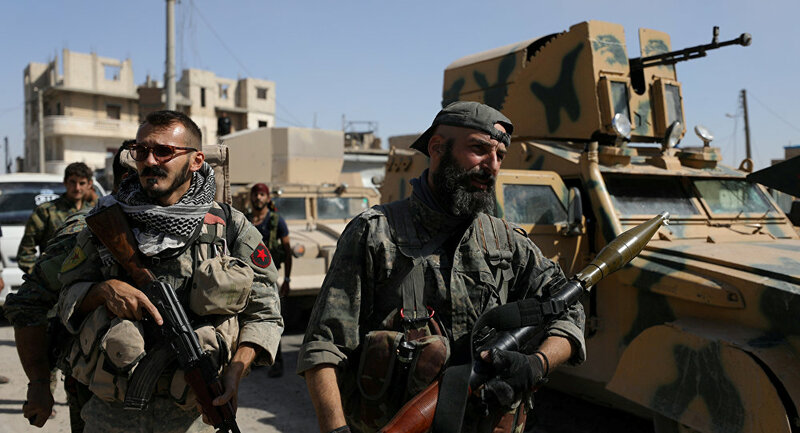 I do know that the US is very leery still of the so-called Assad regime, the Syrian government; the US doesn't feel comfortable with Russia’s… position there, the addition of Iranian military assets including personnel, and strengthened Hezbollah. The way I look at it, if I were to put that in context, is that the US has historically had low levels of influence in Syria. As you know, during the Cold War Syria was an important proxy for the Soviet Union, and for the US, Israel was the main Middle East proxy during the Cold War. It's almost as if most American policymakers have forgotten that. They basically compare Russia’s influence in Syria to the US influence in Syria and they say it’s very unfavorable to the United States but this has historically been the case. I have no illusions that the United States will continue to have limited influence in Syria, especially now that ISIS has gotten expunged. Sputnik: How is Ankara likely to react to this development? Dr. Max Abrahms: Turkey has had many different interests in Syria, for example, Turkey has been an advocate of removing Assad, you know, Turkey supported some of the rebel groups to topple him. And in a way, Turkey has also been worried about Islamic State, because there have been some ISIS attacks in Turkey. But from the beginning Turkey’s main interest in Syria has been in weakening the Kurds. That continues to be the case. That has always been priority number one for Turkey. And so Turkey clearly has a strong interest in getting the US to stop supporting the Kurds, which the United States has pledged to do, but we’ll see what happens.